In Dying for a Paycheck, Jeffrey Pfeffer discusses numerous examples where organizations have allowed management practices that literally sicken and kill their employees. A range of topics is explored including layoffs, health insurance, work-family conflict, work hours, job autonomy and why people remain in toxic environments. Dying for a Paycheck offers guidance and practical solutions that all of us - employees, employers, and the government - can use to enhance workplace wellbeing. 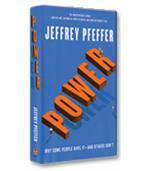 The modern management mantra of “doing more with less” in the endless pursuit of “maximized shareholder value” has, according to author Jeffrey Pfeffer, led us to a work environment where the term “toxic” can no longer be applied to blue collar work alone. 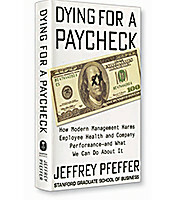 In his new book, Dying for a Paycheck: How Modern Management Harms Employee Health and Company Performance –– and What We Can Do About It, Pfeffer argues that the physical dangers of working in such places as coal mines, oil rigs and chemical plants have been “largely eliminated” by the oversight of the Occupational Safety and Health Administration (OSHA). By contrast, the stressful nature of the modern work environment is not subject to OSHA reporting or intervention and is simply accepted as the nature of the beast. Workers now face unrelenting job demands characterized by unrealistic deadlines, insufficient resources and an increasingly diminished division between work life and home life. Pfeffer identifies a disturbing contrast in how companies are responding to increasing customer expectations of economic stewardship and corporate social responsibility (CSR), with no apparent concern for the toll on their employees facing increased workloads with fewer resources. The data available to quantify this toll is not hard to find. Employee surveys identify stress as both the number-one problem at work and the number-one reason for seeking opportunities elsewhere. The physical consequences of workplace stress are estimated to cost the U.S. healthcare system as much as $200 billion a year, with a corresponding cost to U.S. employers of over $300 billion annually in employee turnover and lost productivity. 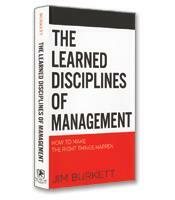 Results-oriented management practices leave no room for the “human sustainability” approach of an engaged, motivated and creative workforce. Employees that can’t stand the pace, it seems, can be easily replaced. The author makes an impassioned plea for companies to consider the physical and mental health of their employees. Driving people too hard will ultimately fail any measure of organizational efficiency and profitability if the psychosocial costs of diminished physical and mental health, extended absences and increased turnover are included. 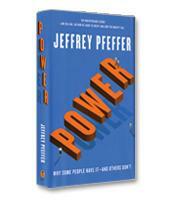 Pfeffer argues that such toxic work practices constitute a form of social pollution. If we, as consumers and shareholders, continue to permit, if not encourage, these stressful work environments by our continued patronage, these social polluters will have no cause to change. The epidemiological literature on the mental and physical consequences of extended exposure to a toxic work environment is extensive. Alcohol abuse, chemical dependence, weight gain, family relationship problems and even post-traumatic stress disorder (PTSD) have been documented with increasing frequency. Measure health and well-being in the same way as environmental pollution and impact. Call out social polluters for their toxic practices and workplaces and force them to change, using social pressure. Develop social policies that reflect the true costs and consequences of these toxic practices so that companies pay their share of the costs of the ill health they create. Anticipate excuses from those companies that will refuse to confront the issue. This is not an industry-specific issue, nor a nature-of-the-beast issue. We must insist that organizational leaders prioritize the issue instead of just paying lip-service and then sacrificing any commitments at the first sign of economic distress. Dying for a Paycheck delivers a clarion call for a new social movement focused on human sustainability. The call is supported by an impressive trove of research data and examples. The financial and moral arguments are clearly explained, but it remains to be seen if companies will acknowledge the existence of the problem.